What Are My Choices for at Home Tooth Whitening? When it comes to home tooth whitening, you have two main options to choose from: You can either buy over-the-counter products to whiten your teeth, or you can seek out advice and products from a professional tooth-whitening dentist. First, a quick disclaimer: no tooth whitening product will be effective if you fail to practice responsible oral hygiene on a regular basis. Brushing your teeth after every meal, using an oral rinse, and regular visits to your local dentist are absolutely necessary when it comes to maintaining the perfect smile. Without this baseline of proper oral care, it will be difficult to see results from any tooth whitening product. But, if you have healthy dental habits, and you’ve decided you’d like a whiter, brighter smile, it’s worth exploring the benefits and drawbacks of each method to help you decide which tooth whitening path you’d like to pursue. Home tooth whitening products are an inexpensive method to seeing potential long-term tooth whitening results. Most home tooth whiteners break down into four categories. Whitening toothpastes: While typical toothpastes are meant to remove basic surface stains and clean food between your teeth, whitening toothpastes are meant to clean surface stains more aggressively. While brushing your teeth is important, whitening toothpastes are an ineffective method for whitening your teeth. They typically contain fairly weak whitening agents that would need to be in contact with your teeth for over 20 minutes at a time to have any real effect. Whitening toothpastes also commonly contribute to tooth sensitivity. These are mouthwash-style tooth rinses that are meant to whiten your teeth with regular, daily use. They typically feature hydrogen peroxide as a whitening agent. These rinses also tend to be ineffective. As with whitening toothpastes, the average user wouldn’t see the prolonged exposure necessary to see any significant effect. It would take several rinses a day to see even a minor effect. Tooth whitening strips are flexible plastic strips that are placed over your teeth for between 5-60 minutes at a time. These strips contain hydrogen peroxide or carbamide peroxide that seeps into your teeth while you wear the strips. These strips are one of the most effective home whitening methods, but they can cause gum damage if they come in prolonged contact with your gums. Strips can also cause yellow spots when not applied evenly to your teeth. At Vitality, if you choose to go the home whitening route, we recommend the use of Oral B Whitestrips 3D White. These strips can be worn an hour a day for 14 days, or two hours a day for 7 days. These tray-based systems involve plastic bleaching trays that fit over your upper and lower teeth. Whitening gel is placed in the trays and applied for long periods of time, several days a week. Home whitening trays can work quicker than other at-home products, but they’re less effective than the custom-made whitening trays provided by a professional dentist. The at-home trays are not custom-fitted, so they can often irritate your gums and lips. The gel used in these at-home whitening kits is also typically less strong than the gel used by professional dentists, which leads to less effective whitening. The main benefit of at-home tooth whitening methods is the lesser short-term cost, but in reality, the long-term cost of using these products on a regular basis with little to no results is typically not worth the expense. When it comes to whitening your teeth, it’s highly advisable that you have this process regularly monitored by your dentist. 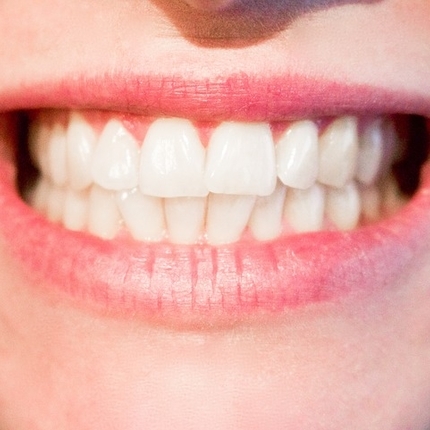 Overusing at-home tooth whitening products has the potential to cause harm to your teeth. Professional tooth whitening is the far more effective method when it comes to a whiter, brighter smile. Using non-invasive methods, a dentist can achieve incredible results, both short and long term, in only a few visits. While the cost can be higher upfront, the results will speak for themselves. At Vitality, a full-service dental practice in Pulborough, West Sussex, we employ a three-step whitening process using whitening trays. This method is largely considered the most effective method for tooth whitening and is employed widely by dentists across the world. With three quick visits to our office, combined with the use of our custom-fitted trays and whitening gel, you’ll have whiter teeth within two to three weeks. The first stage of the tooth whitening process involves a visit to our team of dental specialists. In this visit, we will take impressions of your teeth. These impressions will be used to create custom-fitted trays that will fit comfortably around your teeth. We’ll also record the shade of your teeth so that we have an accurate before-and-after comparison at the end of the process. The second stage of the process will involve a return visit to our office. In this appointment, we will ensure that the custom-fitted trays are sized properly so that you’ll be comfortable throughout the entire process. We’ll also teach you how to use the trays in combination with our tooth whitening gel. For two to three weeks, you’ll use this tooth whitening kit at home. This gel uses a 10% Carbamide peroxide whitening agent that is known to be the most effective in the dental industry. You will wear the upper tray first for two to three weeks followed by the lower tray. After these two to three weeks of applying the whitening gel at home daily, we’ll bring you back for your third and final appointment. In this appointment, we’ll assess how much whiter your teeth have truly become. After only three weeks, you’ll have a whiter, brighter smile that will impress everyone you know! To learn more about having your teeth professionally whitened, contact Vitality or book an appointment today! ← How Does A Somnowell™ Device Work in Reducing Snoring?